For this week, I’d like to share a Twine assignment that I use in my game studies classes, one that I’m also reworking for my IAH 206: Gaming Representation, Identity, and Community class this Summer. Basically in past game studies courses I’ve taught I’ve had students make their own Twine games. My original thought behind this (one that’s still valid, though things have shifted a little) was that in order to understand games, students needed to know how they’re made and the processes of game design and development. Twine is a wonderful platform for this because it allows students to engage in these processes using accessible, open-source tools that are easy to pick up even for those with little or no coding experience. At the same time, Twine is versatile and can accomplish more complex tasks for students who know more coding, or for students interested in learning more after the course ends. The assignment I’ve used before has been a course-long project that happens in several stages. The first stage is playing other Twine games and getting a sense of what Twine is and what it can do. The second stage tasks students with starting their own game, and writing and linking several passages together. The final stage has them finish the game–at least as far as they’re taking it in the course–but writing more passages and applying several special effects (a catch-all term for things like changing fonts, colors, adding images, videos, or music, etc.). In the past I’ve made this project a very customizable one: students could choose what they wanted their game to be about, and could choose which Twine capabilities made the most sense to pursue in the course. I made the evaluation criteria flexible to accommodate this customization; for example, with the special effects students could choose to either pursue several relatively easy effects, or spend more time and pursue more difficult/complex ones. For IAH 206 this Summer I want to preserve this flexibility, customization, and variation, because I think it gives students the space to experiment and grow as critic-creators. Yet I’m modifying the assignment slightly to task students with thinking through their own experiences in their games–in other words, using the games to reflect on and revisit something they value, a particular memory they have, or an important part of their identity. I’m being careful in the redesign to not task students with revealing anything they don’t want to, as the goal of the course isn’t to force people to perform their personal selves for others. Yet my goal is to get my students thinking critically about who they are, where they come from, and what they value, and to play with those narratives using games. I’m attaching a copy of the overall assignment handout here: IAH Twine Major Quest. Let me know what you think, and check out Twine at a workshop I’m running next week with Howard Fooksman as part of the MSU DH workshop series! Info and registration link here. As I’ve worked on my project with ImagePlot and game playthroughs in the past couple weeks, I’ve been reminded of the limitations of the archive of player experience that I’m constructing with this method. Specifically, with several games (SOMA and The Talos Principle in particular) I’ve struggled to find enough publicly accessible playthroughs to get even just the few I need to start a comparison of different players’ experiences. With a given game there may not be many playthroughs that have been posted to YouTube or other video-hosting sites, and this limits the amount of comparison that my ImagePlot method can accomplish. Of course all archives have limitations of one sort or another, but it’s important to keep these limitations in mind as we use archives in our research. This is especially true if we use an archive to make a claim about a particular trend or meaning created in a particular culture, and how and to what extent we can back that claim up. With the playthroughs I’m using, I can start to assess variation in narrative in games, but I can’t make a claim about every player’s experience with the game in every situation everywhere. That doesn’t make the claim baseless or useless, but it does mean that that claim could change with more evidence. Or that the claim could be missing something important that the handful of playthroughs I’m using don’t represent. It could also be easy to respond to these limitations with a call for more playthroughs and more evidence, and certainly a better sample never hurts in substantiating a claim. Yet it can also be misguided to waste valuable resources (time, money, etc.) on pursuing the perfect sample that will never exist. And this is where the balancing act of the “good enough” sample comes in. I think the archive of player experience I’m working towards here needs more to become that good enough sample, but also want to be mindful of how far I’m going in pursuit of it. As I prepped for the ImagePlot workshop in the seminar this week, I was reminded again about the difficulty DH scholars often confront in translating their work outside of (or even sometimes to!) DH circles. ImagePlot can be very bewildering the first time one encounters it, and I remember the first time I presented on it at a conference I spent most of the time fielding questions about what ImagePlot *is*, rather than what it can do or show us. I think there are several reasons for this. First, ImagePlot as a visualization tool requires a decent amount of abstraction: it’s taking a lot of images, making them small, and arranging them according to particular qualities such that a pattern emerges. Because of these things, it can be difficult to figure out exactly what it is you’re looking at, and it can take some time to explain that. Second, while ImagePlot is open source, it’s not eminently accessible: it involves a number of steps that are easy to get stuck on if you don’t know Command Line, don’t have the right settings or directories, etc. It’s even more confusing (speaking from experience) when you don’t know what the different steps you’re doing are actually doing, or why they are necessary. Finally, ImagePlot as a method is what we might call distance visualization (as opposed to distance reading), because it gets away from particular images and looks at a large collection of images in order to discern patterns. These distance approaches are themselves tricky to translate to traditional scholars, because it can be difficult at first to see what they show us that we couldn’t figure out otherwise–what it is that’s new or original about them. Because of these realities, it’s especially important that DH scholars practice and be able to translate their work to audiences outside of DH. If no one can tell what it is that we’re doing, then what we’re doing actually isn’t worth much–it’s not helping anyone then. So we need to be able to explain what we’re doing: what our questions are, what our methods are, and, importantly, how the technology works that we’re using to accomplish these things. In my own experience, this involves a lot of trial and error in order to see what makes sense to folks, and what does not. Or perhaps rather what is recognizable, and what isn’t. For ImagePlot, this involves being able to quickly explain what the final product of the process is, and what it shows us. I don’t typically go through each step of the process–that would just be more bewildering–but I have developed quick summaries of the overall process because that helps folks understand what’s happening in it. I learn a bit more every time I translate this work to a new audience, and modify the explanation to help make it more understandable. I think that’s crucial to improving the legibility of DH as a field, and is something that all DH scholars have to practice. It’s not easy, and it is a bit of an unfair disadvantage: we don’t get to operate under the assumption that everyone knows what we’re talking about, the way folks do when we talk about a symbol or theme in a novel. We have to both do the work and constantly explain it at the same time. But I think this can also work to the advantage of DH studies. It keeps us honest, and keeps us critical about the work we do. And, hopefully, it results in better scholarship in the end–more critical scholarship that is more able to help people. As I’ve been working on my project for the DH seminar this semester, it’s occurred to me in several of our discussions that mapping and visualization aren’t so different. Indeed, we might even say that they’re the same thing in different terms: maps are abstractions of space meant to make large quantities of space readable, along with their social and cultural attachments (towns, regions, nations, etc.). Visualizations are abstractions of data, meant to make large quantities of data, and trends within them, visible. So what I’m doing with ImagePlot–visualizing game narratives–really isn’t so different from someone doing a mapping project visualizing the *where* of a set of data. Many DH and software studies scholars have noted how visualizations rely on these abstractions, the curious concoctions of distance, transformation, and relationship that visualizations require. Yet as we read about mapping projects, and particularly spatial humanities this week, it struck me that all spaces rely on abstraction, or perhaps mediation. It’s easy to see how maps are abstractions of space, but even as we navigate the spaces around us, the way we perceive and navigate those spaces is entirely dependent on sensory inputs that are interpreted and rendered to consciousness by the brain. In this sense, all spaces and all of our interactions with spaces are built on abstraction, even in our moment-to-moment experiences that seem to be immediate. I think this realization is important because it deconstructs dichotomies that say some things are “real,” “actual,” or “natural,” and other things are “constructed,” “virtual,” “fake.” The history of maps demonstrates how untenable that distinction is: the abstractions of space have very real, direct consequences for our experiences of space. And I think we see something similar in contemporary gaming, and attempts to write off virtual or digital spaces as not being “real.” This argument is especially prevalant in online trolling and harassment cultures: it’s ok to treat people like garbage, because it’s all online and therefore has no consequences. The realization that all of our spaces are abstractions, that all spaces are virtual ones, helps us reject that premise that is causing a lot of harm in contemporary social spaces. This week I was especially drawn to Matthew Jockers’ blog post, “A Novel Method for Detecting Plot” (Jockers). In the post, Jockers discusses how his project of tracing sentiment in 19th century fiction using sentiment analysis also lead him to visualizing the plot structures of the novels he looked at. Basically, he found that the shifting emotional valences in a novel (measured through certain words and sentiment markers) are also a proxy for the rising and falling action of the plot. Presumably the moments of positive sentiment are also the high points of the plot, and the moments of negative sentiment are the low points in the plot. There are still some questions and potential problems there––for example, aren’t the low moments also the ones with the most conflict and action?––but it’s an interesting way of visualizing how the narrative moves and varies throughout a work of fiction. I’m very interested in the possibilities of visualizing narrative forms and structures because it allows us to see how narrative develops and grows: in other words, how it is a living process. This is one of the central goals of my ImagePlot study of narrative variation in games. If we can see how much narrative changes even within a single text (like a game), then we can get a better handle on how narrative operates and the potentials of what we can do with it. The idea that narrative has a shape is interesting as well: what does it mean that the abstract and affective qualities of narrative have specific forms? Is the shape of a narrative ever anything more than an abstraction or a metaphor? Or if it is just that, what meaning does it have? 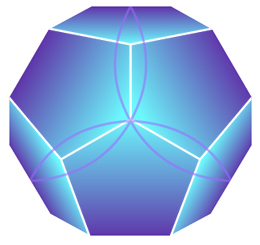 It seems like common or repeated shapes could act as a key of sorts: not in a determistic sense as unlocking every story in a particular form or archetype, but in terms of establishing a set of common meanings that relate to each other across stories. One of the issues I see with this approach (one that I’ve encountered with my own ImagePlots) is that while these visualizations allow us to see change over time, they’re not great at capturing the fluid, variable, active elements of the experience. In other words, these visualizations present the plot, whether it be represented in rising or falling action or in images, as something static––the graph itself does not move, nor does it capture all the possibilities present in each moment of the text. It is an arresting of motion that is itself quite dead. That might be a necessary evil in order to do this type of work and analysis, but I still wonder if the tools themselves could get better at demonstrating some of the same action that they represent. Jockers, Matthew. “A Novel Method for Detecting Plot,” http://www.matthewjockers.net/2014/06/05/a-novel-method-for-detecting-plot/, June 5, 2014. For this week’s blog, I’d like to lay out my plans for my project this semester. My plans to start archiving player experiences and measuring narrative variance in games extend far beyond one semester’s project, but, as with so many large DH projects, that demands breaking the project up into manageable pieces. For this semester, I’d like to start the project by plotting the playthroughs of first-person, narrative, indie, and queer games that I’m using for my dissertation. These include Gone Home, a game about exploring an empty house and piecing together the narratives of people who live there; The Vanishing of Ethan Carter, a game about a missing boy who loves to tell stories and is rejected by his family; SOMA, a game about encountering the last of humanity and post-human futures in virtual reality; and The Talos Principle, a game that draws attention to artificial intelligence, consciousness, and the construction of reality. Not all of these games are explicitly queer, or have LGBTQ characters or representations. Yet all of them draw attention in different ways to the queer ways we experience play and construct narratives of our experiences. Plotting these games will help me assess how players have engaged with these games in different ways, and how their experiences and narratives of the games are different. Even though every player played the same game, their different experiences mean their perceptions of the game are likely quite different (though this study will help assess *how* different). One might even argue that they cognitively constructed different versions of the virtual play spaces they explored. This project is in many ways complementary to the work I do with the LGBTQ Video Game Archive. Whereas the Archive collects records of LGBTQ representation in games in different decades and game series, my work with ImagePlot will seek to explore how players are engaging with queer games, and perhaps how queer games are or are not different from other games in their genres. Do games with LGBTQ content also tend to have different and queer forms? Or do they borrow the forms and conventions from their genres, and replace heteronormative content with LGBTQ content? For my course project this semester, I’d like to continue and expand an ongoing project I have with visualizing playthroughs of video games using ImagePlot, developed by Lev Manovich and the Software Studies Initiative at CUNY and UCSD. Basically, ImagePlot is able to capture frames from videos as image files, and then plot those files according to different attributes (such as color, saturation, shapes, etc.). My project uses ImagePlot to plot the playthroughs of games captured in players’ Let’s Play videos on YouTube and Twitch. Each playthrough and its corresponding ImagePlot represents a player’s entire experience of playing a game, and allows us to quickly see where and how players’ experiences are different from one another. Narrative theorists and game studies scholars have long noted that narratives are interactive and changeable in games, but we rarely (or never) dig deeper into the evidence for those basic insights. Yes, narratives vary in games, but to what extent? 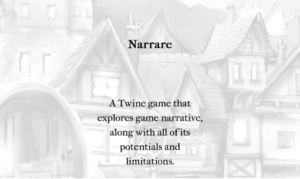 The overall goal of the project is to discover new measures and insights on narrative variance, and to get a clearer picture of how it functions in the play spaces of games: what parts of the narrative change in different players’ playthroughs? How do they change, and how much? Answering these questions helps us tease out the limits of play in narrative, and provides a framework for assessing players’ engagement with games that goes beyond simply acknowledging that different players have different narratives and experiences. The results of this project will be of interest to narrative theorists, game studies and new media scholars, literary scholars interested in reader response, and digital humanities scholars interested in visualization and user experience. I’m hoping to move the current complete draft of early project results toward a publishable state for the upcoming PMLA Digital Humanities issue. In the future, I’d like to expand this project into a digital collection of playthrough ImagePlots––an archive of player experiences. Such an archive could be used to study many aspects of game narrative and player experience, such as genre conventions, different groups of players, games made by the same developers or using similar mechanics, etc. I’d also like to link the project up with my work for the LGBTQ Video Game Archive, and perhaps visualize playthroughs of games with LGBTQ content. How are players engaging with queer games and queer experiences? Does anything change noticeably between a queer game and a similar game with no apparent queer content or forms? In any case, I think we’re only just beginning to see the possibilities of this sort of analysis.